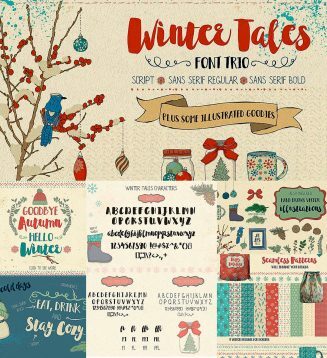 This trio has script version, sans serif regular and sans serif bold. Perfect for greeting cards, branding materials, business cards, quotes, posters, and more! Tags: bold, calligraphy, lettering, pattern, sans serif, script.